launched hundreds of successful websites for many different types of business around the globe, with the experience in the field since 1999 ,since we count our selves successful organization in this field , we believe that the successful organizations has successful partners , that is why we decided finally to partner with Kentico who are without doubt one of the leading .NET CMS providers in globe today, which provides a solid CMS platform. 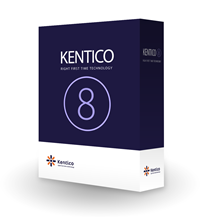 Kentico CMS is used by more than 18.000 web sites in 90 countries. Clients include Microsoft, Vodafone, Audi, Mazda, Subaru, Samsung, Gibson and others. Kentico CMS has now replaced their own proprietary CMS offering and now provides the core technology platform of our intelligent CMS and Intranet Offering. Kentico CMS for ASP.NET is a full-featured web content management system that enables website's owners to easily manage website content through a secure browser based login.